Disclosure: I received this product for free to review. I was compensated for my time, but all opinions are my own. Being a part of my son’s learning experience is one of the most rewarding things I have ever done. I am constantly surprised by what I am learning with him as well. We have been studying Egypt this fall, and I am reading aloud books that fascinate me. It is so cool how these little lessons carry over to our everyday life, and we can talk about it freely since we are discovering it together. I was so excited when I was asked to review a project from Art in History. “AMAZING fit” was all I could think. I love art and we are loving history this year. 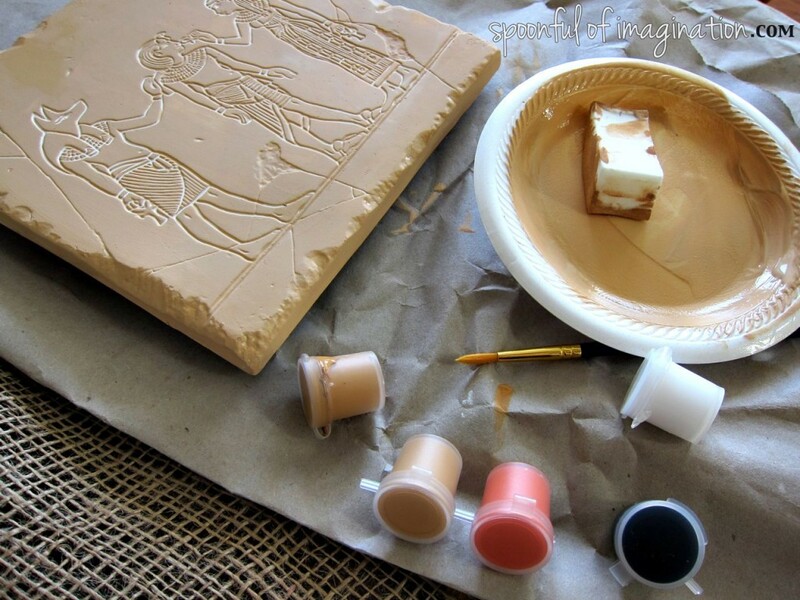 I got to choose what project I wanted and I choose the King Tutankhamun Tomb Frieze. As part of this project’s description says “much of our understanding of Egyptian daily life comes from paintings and reliefs that decorate tombs.” I can’t think of a better way to learn history than to study the art and replicate it. 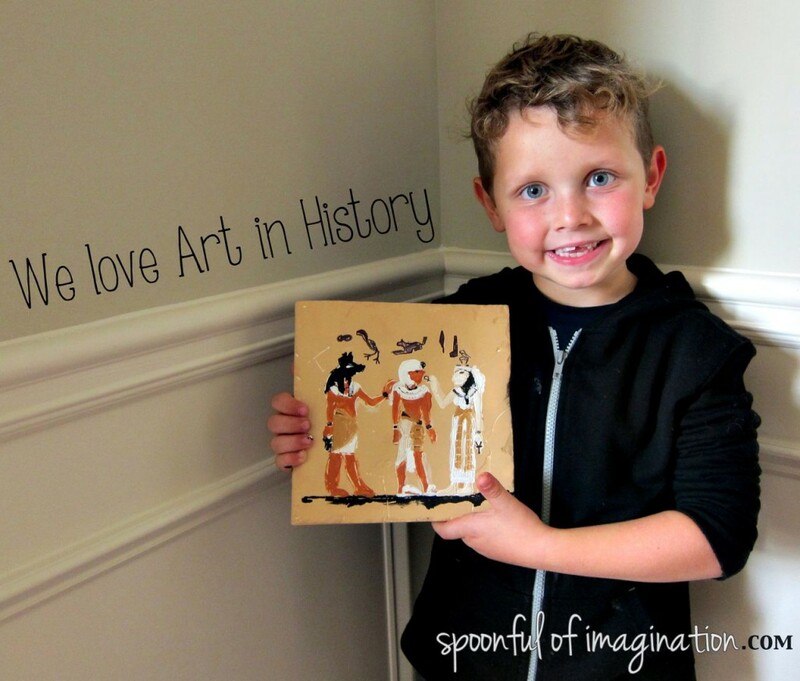 This project came with a lesson plan that we read through as a review while Caleb started painting his frieze (painted or sculpted decoration on a wall). 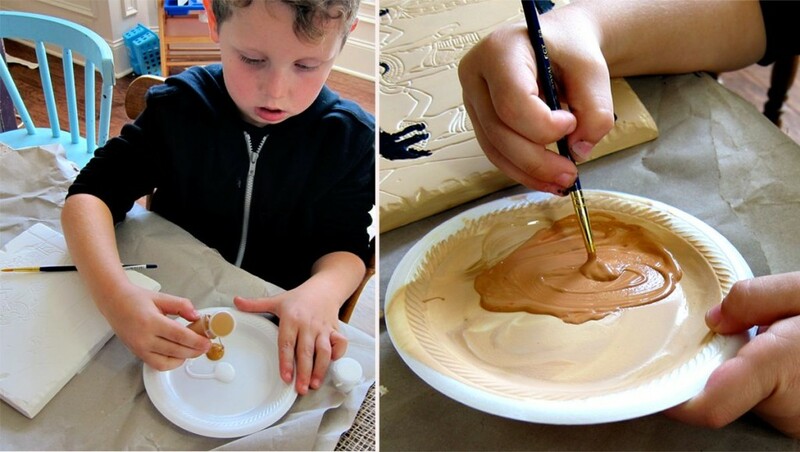 As a first grader, Caleb loved that this project was all his to create. 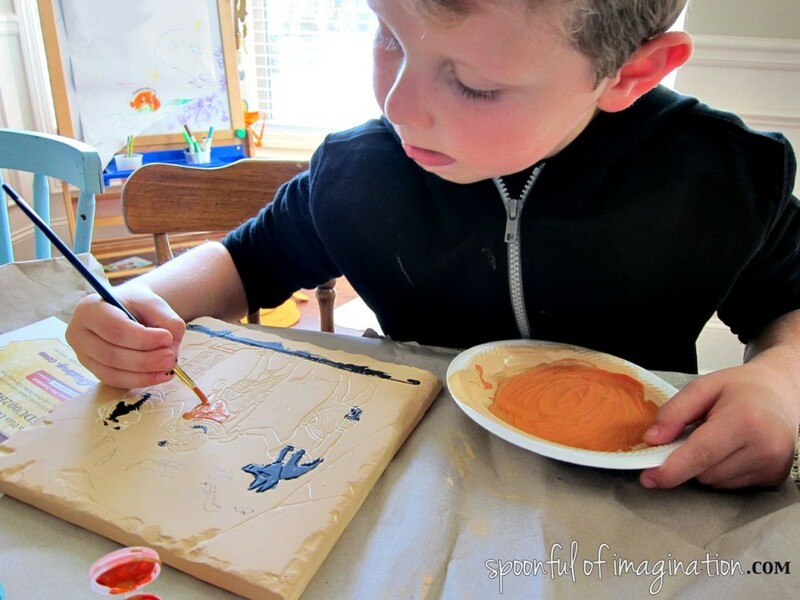 He loved mixing the colors and completing his own masterpiece from start to finish. I love that this project came with everything I needed. Every supply that I needed, I pulled from the box. It had paint, a brush, sponge, plate pallet, the lesson plan with pictures and maps, and an easy step by step tutorial on how to replicate their example frieze. Caleb loved the hands on approach to learning. 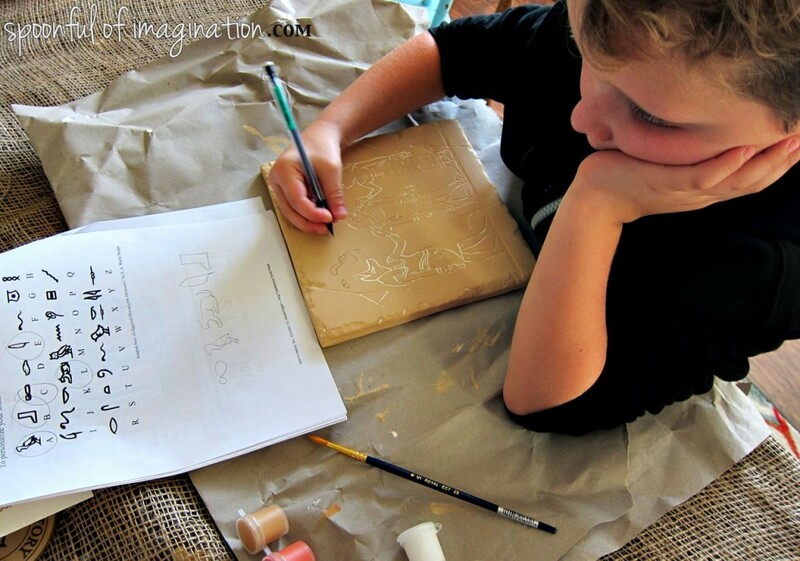 For a young guy, he really got to realize the work it took to write in hieroglyphics by writing his name in them! He is so proud of his piece and quickly ran to show it to his siblings when he was done. It was a fun hands on educational experience. It creates a meaningful time for you to participate in the learning experience. It saved time by not having to scour the web for a project that would work with our history subject. It eliminated stress by having to find and buy all the project’s supplies. This project came straight to my door, and we just had to open the box to start it. I am a firm believer of discovery through creativity. I love that even though this lesson had a tutorial that told us what to do, my son felt the freedom to make it his own. He created a “rough” line at the bottom rather than the black line because he felt it displayed a more dirty ground like the Egyptians had. Plus, he was afraid to paint his hieroglyphics because he didn’t want to ruin them, so he asked to use a Sharpie instead. He had a voice and created something he is proud of and the hands on approach will probably hold Egypt facts in his head a lot longer than just reading or being told about it. You might not be studying Egypt, no worries! Art in History has a wide range of World History and US History projects to choose from as well. I am already browsing their catalog for our next project. You should too! I know you will find something you love. 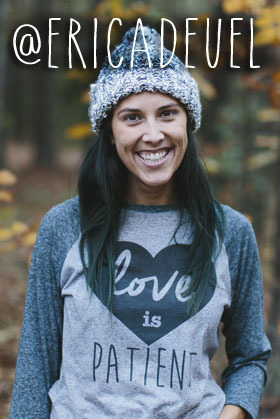 SAVE 10% off all orders over $100. Enter coupon code: HOMESCHOOL10 upon checkout. Valid through 11/30/13. In addition to the kits, Art in History is now selling their craft paint as well. Art in History is happy to announce that they have created a paint line to meet the specific needs of the craft industry and the classroom. Their custom paints are safe, have no odor, are non-toxic, and conform to ASTM D-4236 safety standards. All acrylic paints are conveniently packaged in 2 oz. bottles. Their all-purpose paints can be used on bisque, wood, metal, plastic, and other general craft projects. Those can be purchased here. I have good news for you! 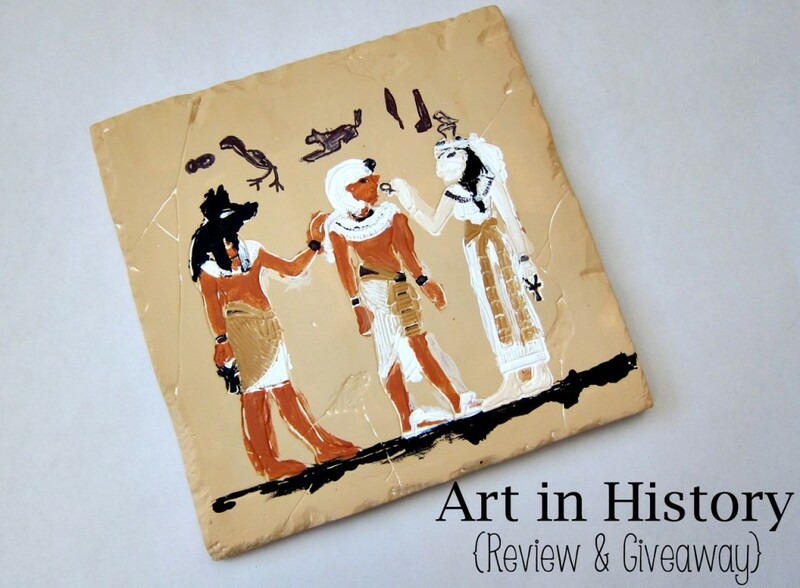 You can win your own Art in History kit! Thanks so much for checking in! To learn more and stay connected with Art in History visit them online, Facebook, Twitter, Pinterest, or YouTube. What a cool company! We would love to try the Indus Valley project. That is so neat! I’ve never heard of the company before but I like the idea of learning history through art work. I would like to win the American Revolution project. These are awesome! My girls are obsessed with anything relating to China right now. So, I’d love to win the Qin Dynasty Terra Cotta Warrior. This is such an awesome idea and I would have loved something like this when I was a kid. 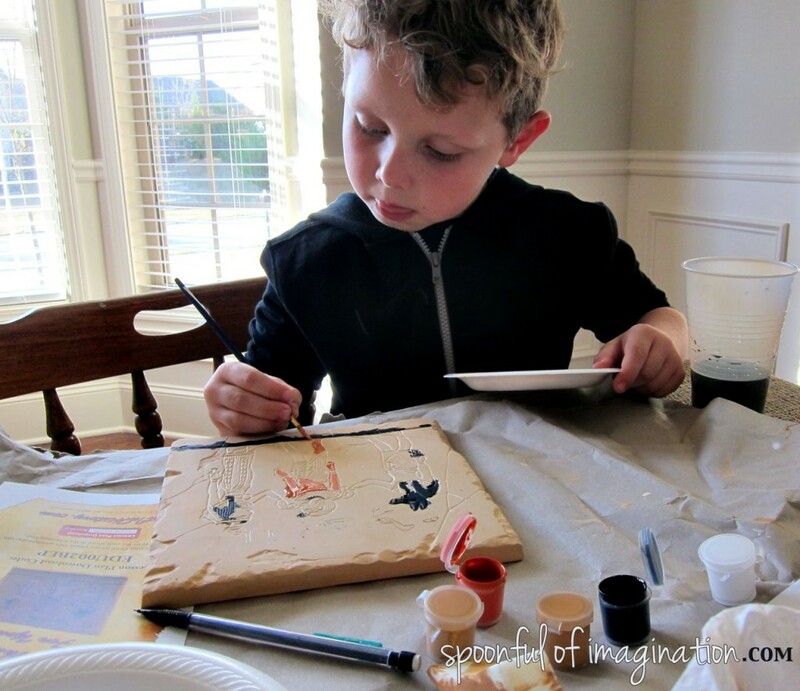 Your son’s painting looks great and what a fun way to learn. Love it! Your son is such a cutie pie. I love that his tongue is sticking out as he’s painting. Ha ha! Such concentration. Just adorable. His finished product is quite impressive for such a young child. I wish I had known about these kids when my daughter was younger. She heard me going on about how adorable your kid is, and she came up to see. She said, “You wish I were little so I could do those painting projects, don’t you?” Yes, I do! THis is soooo fun!!! I think it’s beyond my 3 year old, but would love it in a few years! Love this! I am loving the frieze you guys made, but all the kits looked so great I will definitely have to incorporate them into our future units! What a great idea!! This would be fun!! My 6 year old looked at the projects available and said he would like the Persian Alexander the Great project. These look really cool! I’d love to check out both the American Revolution and Egypt projects. We’ve got both topics scheduled next year. What a great addition to our studies these would be! Great resource! Would love to try this. Thanks Erica! Colonial Teapot – American Revolution. We just returned from Williamsburg… Fun! Thanks! The Aztec empire one looks fun! i’m hoping to win the Chocolate pot! 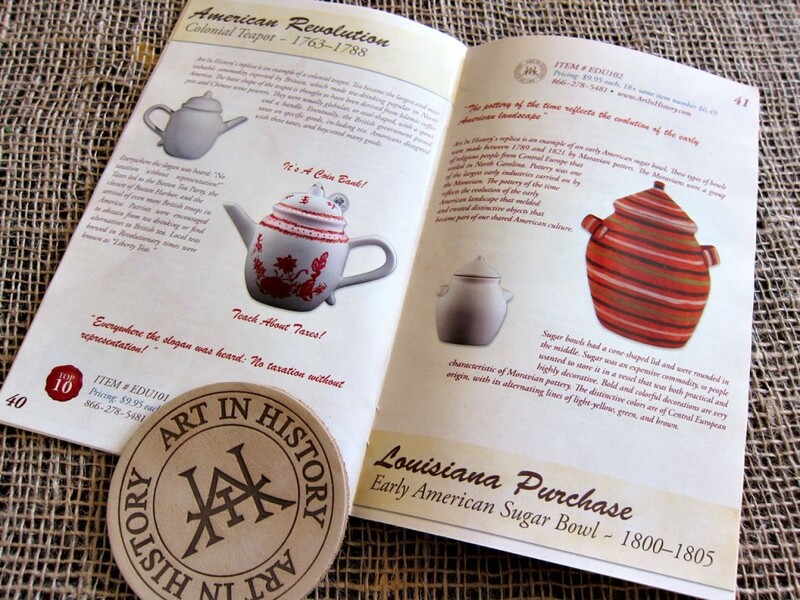 Either the Louisiana Purchase – Early American Sugar Bowl or the French Revolution – Limoges Style Tabatiere! We were at the Alamo last year. I’d like to get the Texas Revolution – Alamo Chocolate Pot as a way to expand on that experience.